If you are looking to build, buy or renovate a home then you know how challenging it can be. Questions about design, materials and construction about and sometimes the only person who is fit to help you answer those questions is an architect. The problem is that not everyone can afford one. 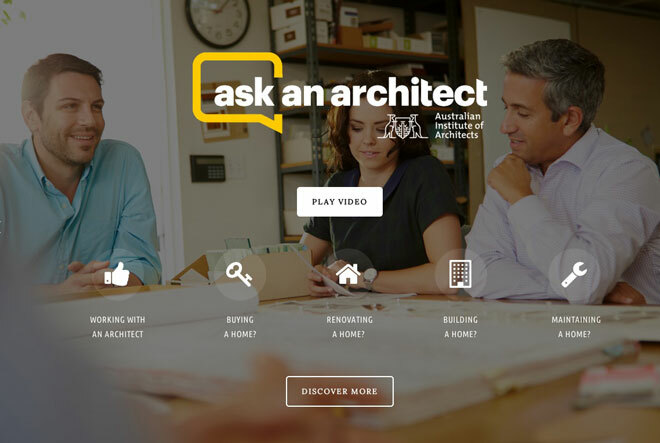 Recognising that not everyone can afford access to an architect, the Australian Institute of Architects has launched a free online portal for consumers to get inspiration, ask tricky questions and read about other people’s experiences. At some point, they feel you will be ready to hire an architect to work on that dream project of yours but until such time, Askanarchitect.com.au is the next best thing.